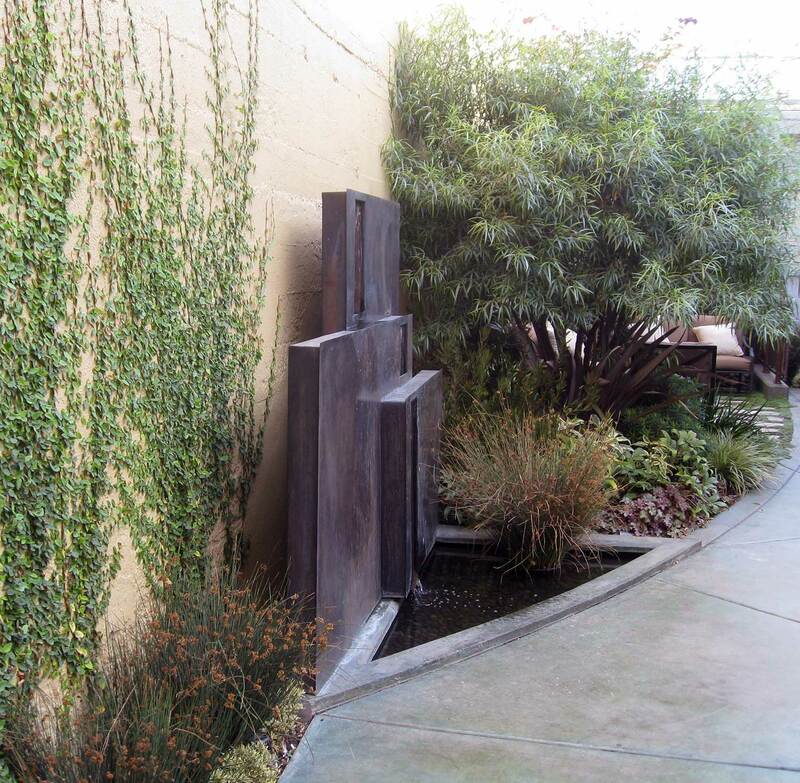 The key to retaining the industrial context while providing comfort and live-ability for the workers and owners at this San Francisco live/work sound studio is in the arcs. 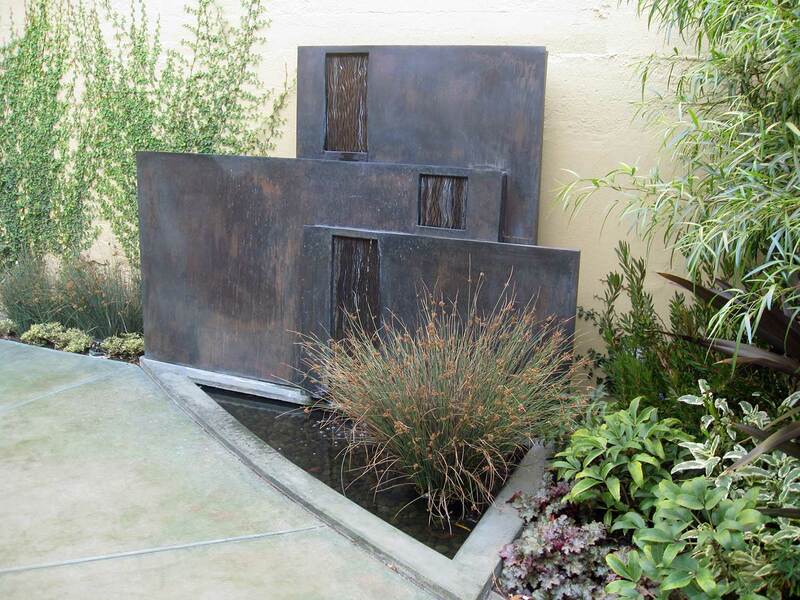 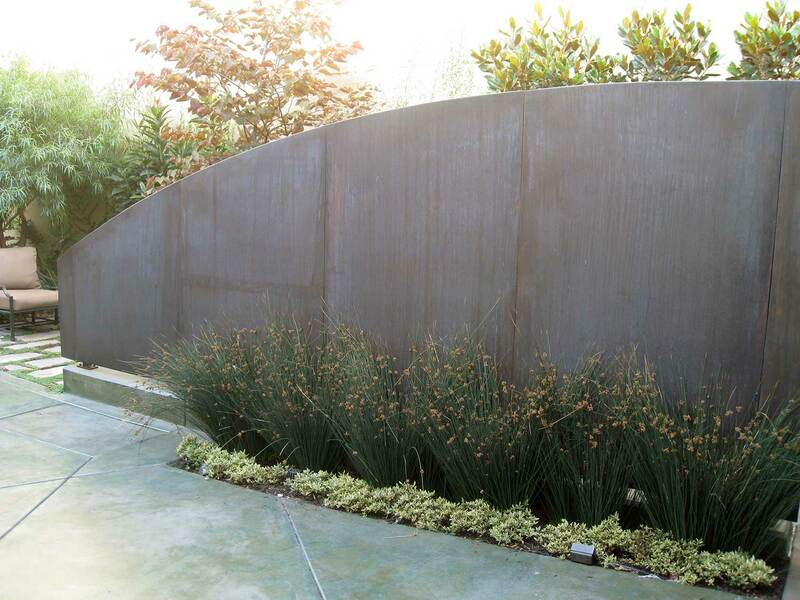 The custom-fabricated copper wall and copper fountain curve toward each other, connected by radial score lines in the acid-stained concrete. 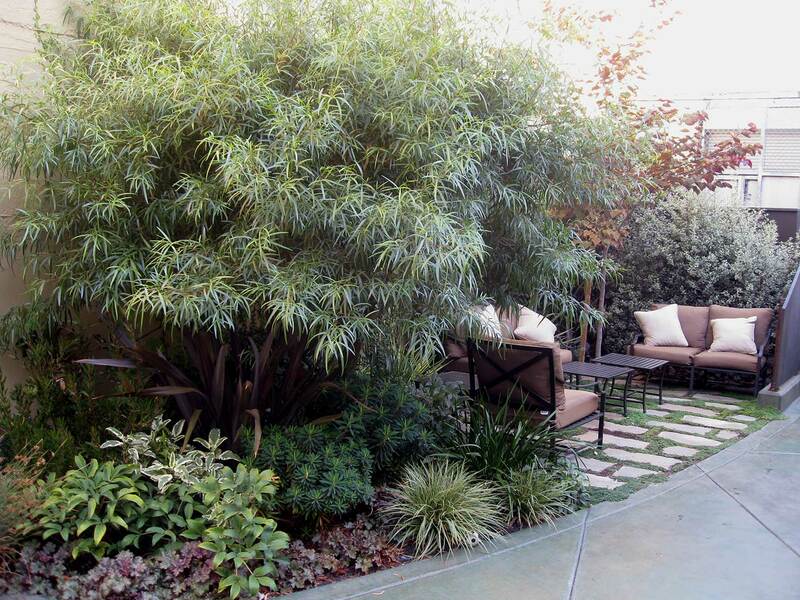 25-foot-high walls are complimented and tamed by strong vertical plants and lush understory. 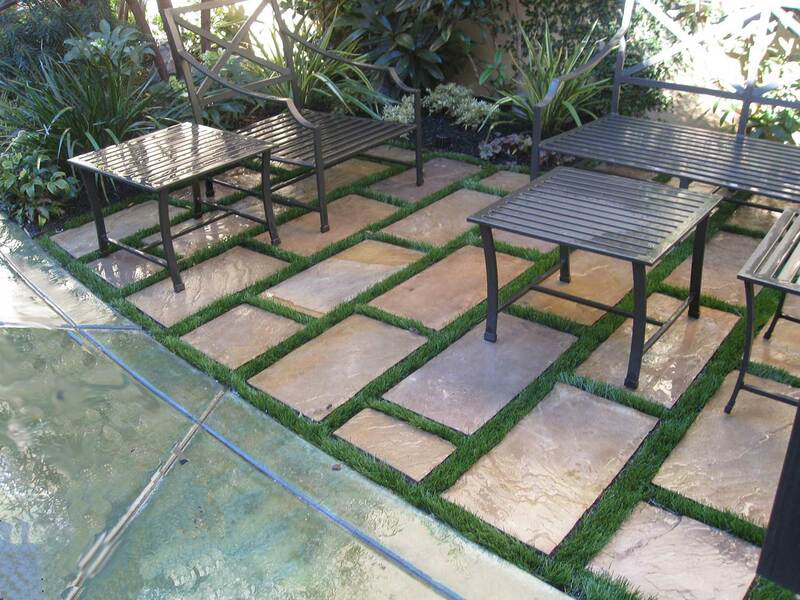 Limestone pavers in soft artificial turf delineate a welcoming outdoor sitting room.